The guesthouse has two double rooms and one suite, all of which boast a television, Wi-Fi and a courtesy tray. 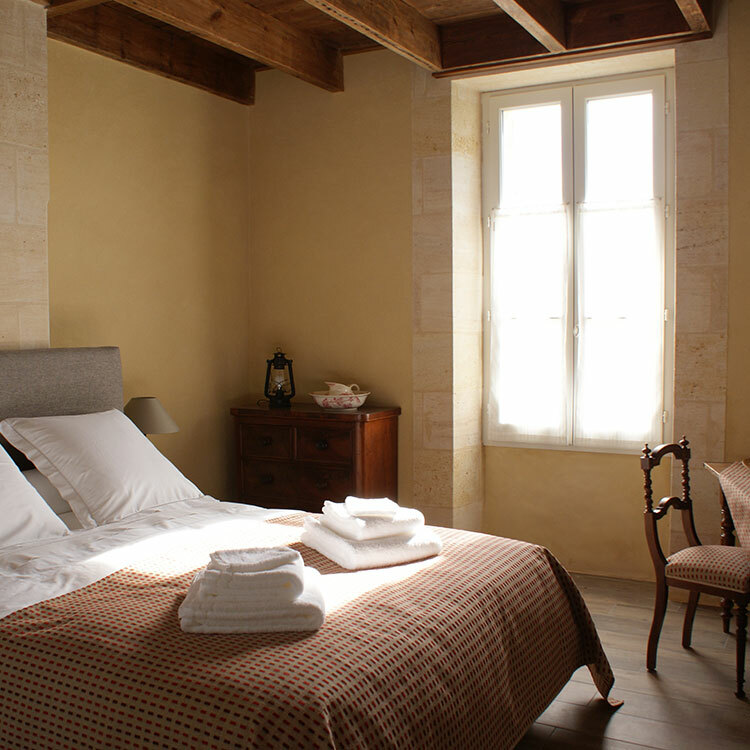 Each room has an en suite bathroom, featuring a large Italian shower and separate toilet. All are non-smoking and pets are not accepted. Continental breakfasts are prepared each morning with local organic produce. If you would like a full English breakfast, please let us know when you book. An elegant room overlooking the garden. 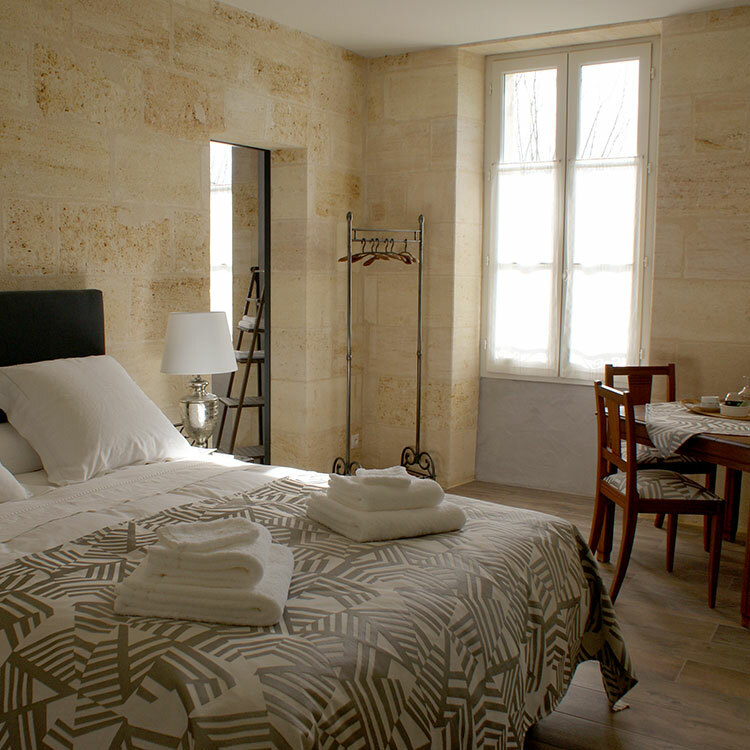 Equipped with a very large bathroom, this west-facing room is glorious when the setting sun catches the honey-coloured stone walls. 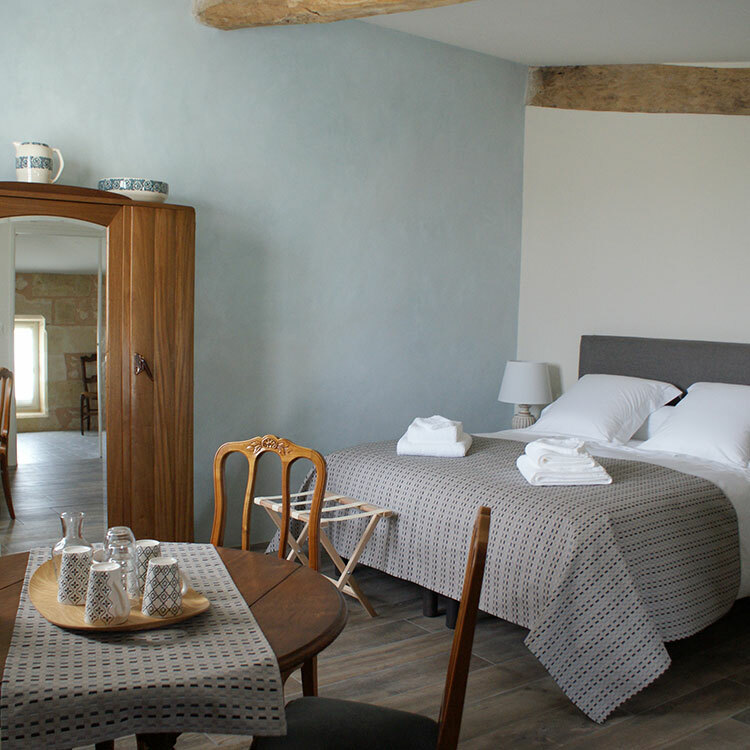 A charming room overlooking the garden and vineyards. Treat yourself to the joy of waking up in a room flooded with sunshine, when you throw open the shutters.